Manchester United is arguably the most successful football club in the world. 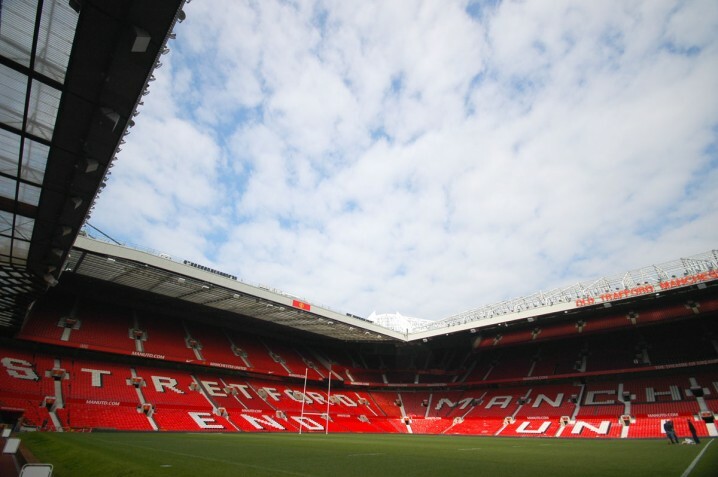 All football fans, whether or not they support United, will find a visit to the Manchester United Museum and the Old Trafford Stadium Tour an interesting experience. 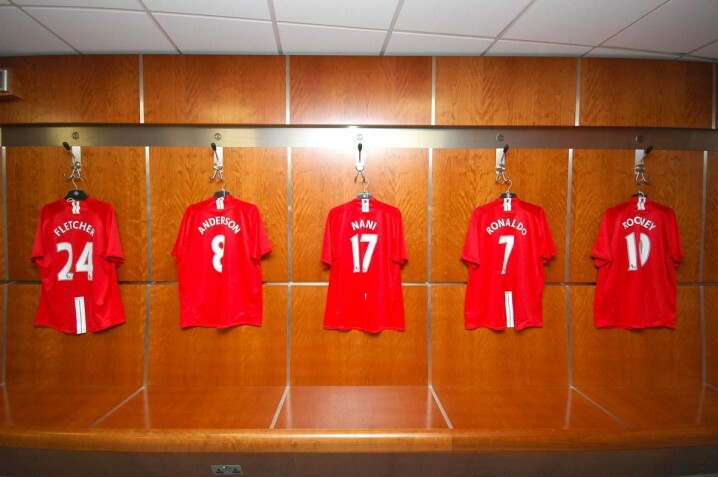 The complete visitor experience at Old Trafford combines a visit to the Manchester United Museum and the Stadium Tour. It’s possible to visit just the museum at a cheaper price but most opt for the full package. Highlights of the Stadium Tour include the players’ dressing room, a walk down the players’ tunnel, the dugouts, players’ lounge, and press room. Exhibits in the Manchester United Museum include a tribute to George Best, trophy displays, the Munich Air Disaster, kit displays, and an interactive chat with a hologram of Sir Alex Ferguson. The Museum and Tour Centre is open every day of the week except on match days. Opening times are 9 am to 5 pm. Tours run every 10 minutes from 9.40 am to 4.30 pm (later during school holidays) and last approximately one hour. On the day before a Champions League home fixture tours will finish at 1 pm. Online booking via the official Manchester United website is highly recommended. Participants are advised to arrive at least half an hour before the tour is due to begin. The nearest Metrolink stations to Old Trafford are Old Trafford and Exchange Quay. Old Trafford is on the Altrincham Line and next to Old Trafford cricket ground. After leaving the station walk up Warwick Road for around 1/3 mile to Sir Matt Busby Way and the stadium. Exchange Quay is on the Eccles Line and around ½ mile from the stadium. Direct trams to Exchange Quay and Old Trafford can be caught from various stops in the city centre including Piccadilly train station, Piccadilly Gardens, and St Peter’s Square. Buses to Old Trafford depart from Piccadilly Gardens (84, 250, 255, 256, 263, 290, 291, X50) and the Shudehill Interchange/Victoria Station (264). 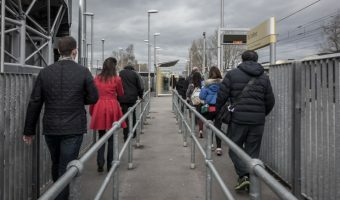 Visitors travelling by car from the north should leave the M60 motorway at Junction 12 and take the M602 towards Salford and Manchester city centre. At the end of the M602 turn right onto the A5063 and follow the signs. Those travelling from the south should exit the M6 motorway at Junction 19 and take the A556 (signposted for Manchester and Manchester Airport) and then the M56. Follow the signs to the M60 and leave the M60 at Junction 7 and take the A56 (Chester Road). Old Trafford is clearly signposted from here. Car parking for visitors to the Manchester United Museum and Tour is free. Satellite navigation owners should note that the postcode for Old Trafford is M16 0RA. Old Trafford is situated near Salford Quays. Other attractions in the area include the Imperial War Museum North and the Lowry. Hotel accommodation near Old Trafford includes the Copthorne Hotel, Holiday Inn Express, and Ramada Manchester Salford Quays. Map showing location of Manchester United Museum and Tour. Shut up Paul. It’s a great tour and the back room facilities are great. You’ve got to be careful when parking around here on match days. There’s a lot of crooks operating bogus car parks. They basically set up camp on private land (not theirs) and charge people for the privilege of parking. They wear ‘official’ looking jackets but are anything but. They even have the cheek to charge people to park on residential streets. And don’t think your car is being looked after while you are at the match. As soon as the game starts they’re off. The best way to get to Old Trafford is to get a tram to Altrincham from Piccadilly train station. They run every 5 minutes or so. Get off at the Old Trafford stop. Like the review says, book in advance. The tour is very good and informative. It’s quite a suprise though to see that the backroom facilities weren’t really that impressive. Metrolink station in Stretford. Close to Manchester United’s stadium.